Have you ever wanted a car with a transversely mounted Ferrari V8? Here's your chance. This tops the cake for strange '90s cars. Well, maybe this and a Vector W8, but that's besides the point. During this period, Lancia was in kahoots with Ferrari, sharing powertrains as well as odds and ends to sell cars to the luxury crowd. The Thema was perhaps the oddest of them all, combining a Ferrari V8 with the boxy body of a four door sedan -- not to mention the engine was mounted transversely and sent power to the front wheels. Some have kept theirs in premium condition waiting for their moment to shine, and that seems to be the case for this Thema being sold on Bring a Trailer right now. The Thema shared a platform with the Saab 9000 and Alfa Romeo 164, again cutting costs for the struggling automaker. 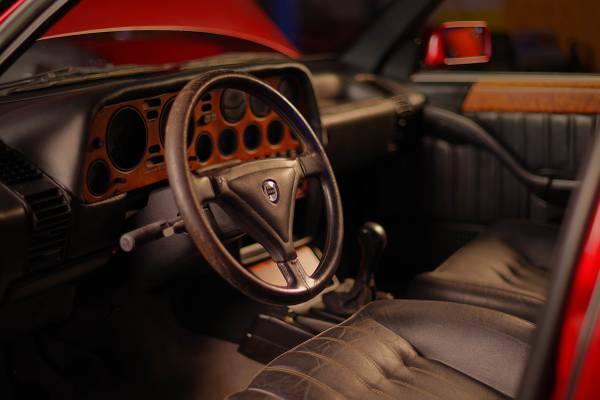 It shot for upscale buyers with plush leather and practicality wrapped up in some sort of an Italian flatbread that Lancia hoped would attract customers. It's not what you would call the benchmark for luxury barges, but it'll help you to stand out nonetheless. The interior is a combination of new-to-the-'90s technology and questionable taste -- perfect for a bureaucrat of the era. It had automated climate control with a digital display to suit your passengers comfortably and let them know that you weren't like the rest of them. It featured a choice of driving modes including sport and comfort that you could select depending on your mood, allowing you to either ride around quietly or let that 202 horsepower Ferrari V8 sing. 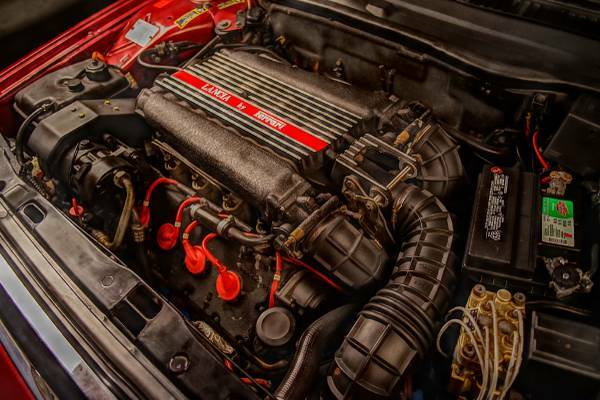 Its engine was shared with the Ferrari 308 and Mondial QV, though this application is different thanks to a conventional cross plane crankshaft. It also had smaller valves and a unique intake manifold, switching things up just enough to make it a comfy cruiser around town. The photos in the ad make it a bit hard to make out the condition of the car, so that may raise an eyebrow. It doesn't come with maintenance records or even the assurance that it runs, so make sure you budget in costs for an inspection and maintenance. The seller has claimed a Buy It Now price of $22,382 on Wisconsin Craigslist. Who knows, it could be a real win for an out of the ordinary collector -- or not.